Tuesday was Tom's 26th birthday! Now we're the same age again! 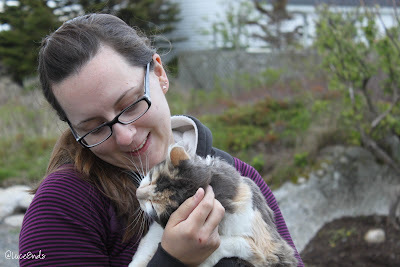 We had another yummy breakfast at Peggy's Cove Bed & Breakfast, got some kitty loves from the resident stray, packed our car back up, and headed for Prince Edward Island! 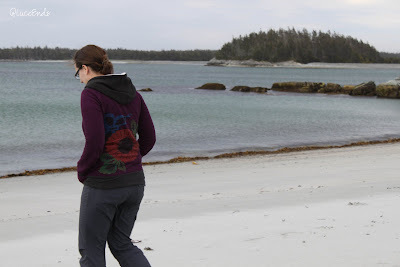 We drove back through Halifax and along the coast as much as possible towards Caribou, stopping to pull our our lunch supplies and take a quick walk on an Atlantic beach. 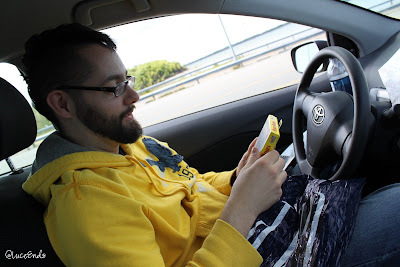 Once at Caribou, waiting for our ferry to PEI, Tom opened his birthday gifts (an expansion for our bean card game and DVDs of the original Star Wars). 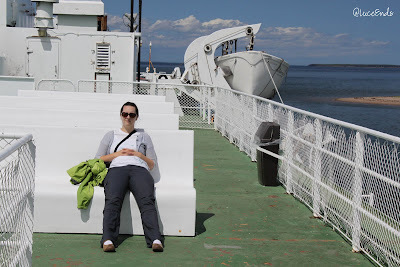 The ferry ride was about an hour and half. We had beautiful weather and not too much wind. We didn't know it when we left our car a few decks below, but they don't allow people to return to their cars until they dock. 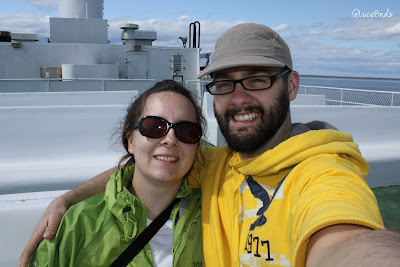 Thankfully there was tourist information on the boat for us to consume our time planning with! 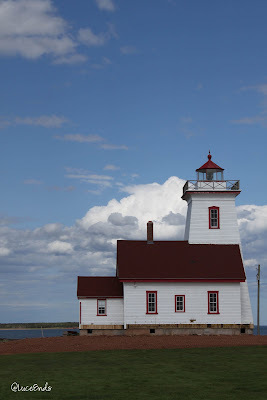 When we got off the boat we were by our first lighthouse on the island, Woods Island. 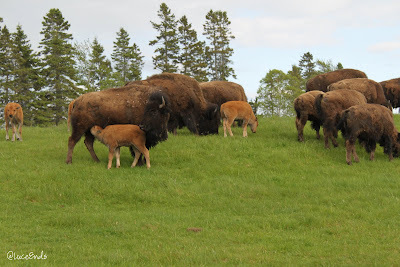 Along our way to a campground we stopped to find the herd of buffalo given to PEI as a gift from Alberta. While we were busy gawking at them and some of their fairly newborn babies, we got rained on and saw a rainbow. 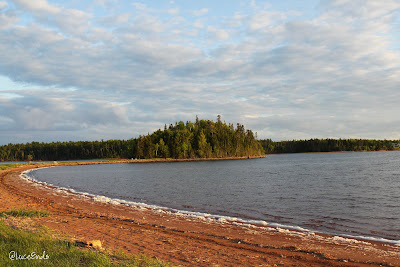 From there we drove towards Brudenell River Provincial Park to find a campsite. We stopped for a pizza and salad dinner at a place that happened to serve free birthday dinners! Tom had a pizza called donair. It was a little like a flat beef gyro.